Helps You Gain Confidence Underwater! 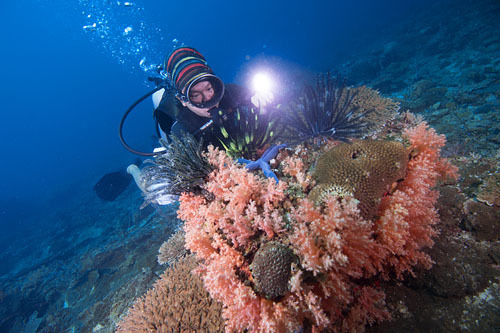 Gaya Island in the Tunku Abdul Rahman Park in Kota Kinabalu is ideally suited to beginner divers. 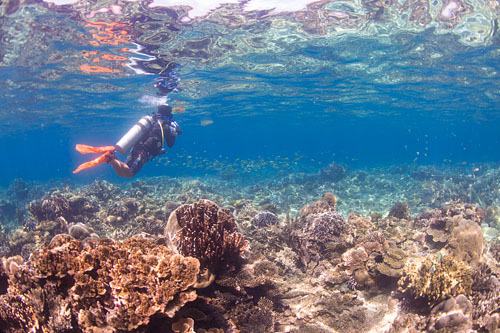 Providing warm, shallow, sandy confined water environments which slope to slightly deeper coral reef habitats. We have a very quiet lagoon for our PADI Discover Scuba Diving day trip Gaya Island with a very special house reef with lots of marine life. 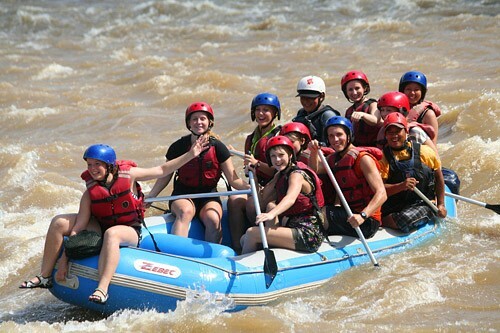 You will also enjoy an additional boat dive with this one day experience. 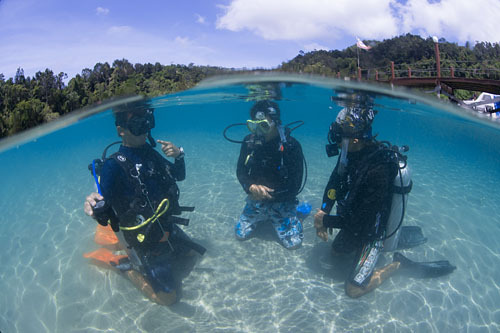 The PADI Discover Scuba Diving Day Trip Gaya Island introduces people to scuba diving in a highly supervised and relaxed manner. 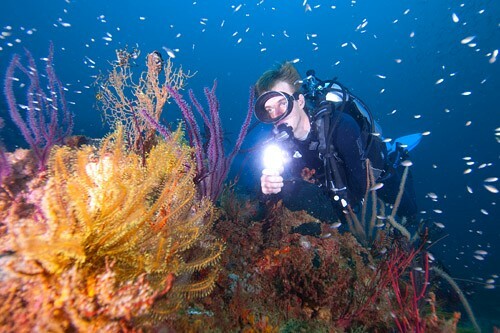 It dispels common misconceptions about scuba by letting individuals try it for themselves. 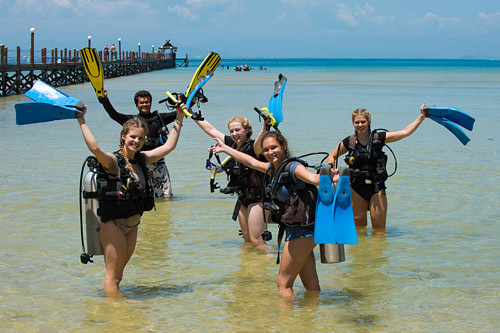 As part of the Discover Scuba program, and under the guidance of a PADI professional, new divers learn basic safety concepts, put on equipment and swim around underwater in a closely supervised environment. 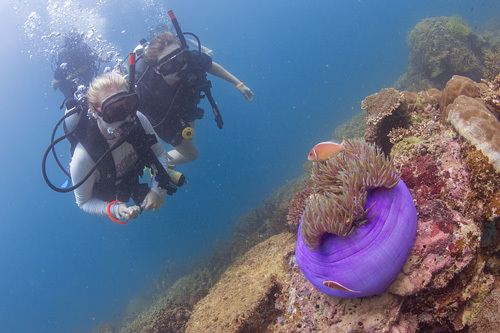 The PADI Discover Scuba Diving day trip Gaya Island program consists of three parts: a knowledge briefing, a confined water dive in shallow water and an open water scuba dive to our ‘house reef’. 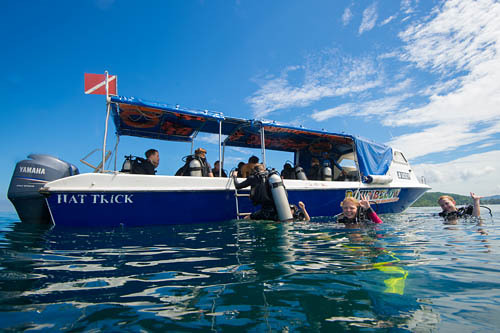 An afternoon boat dive for those people that successfully complete the discover scuba diving program is also included within this program. The knowledge briefing segment covers basic safety information. We use an easy to understand PADI illustrated flip chart, so even if English is not your first language you can easily understand the concepts. 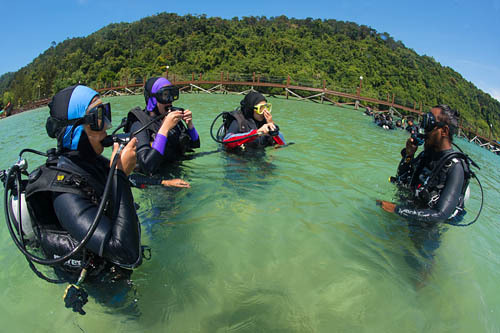 The confined water dive is conducted in water shallow enough to stand and allows participants to practice basic scuba skills and become comfortable in the water before progressing to deeper water. 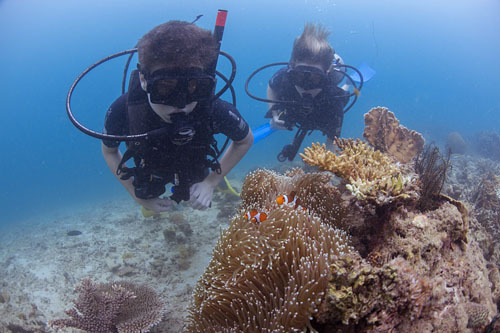 Under the direct supervision of our PADI Instructor beginner divers experience the underwater world safely having no prior experience. 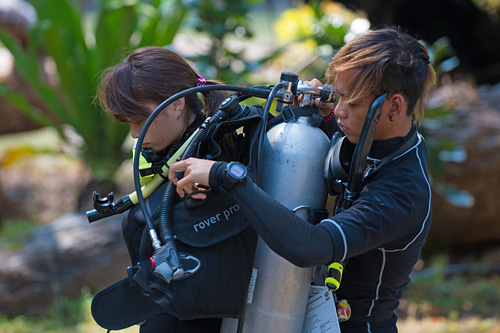 12:00 – Open water dive / 13:00 – Lunch. 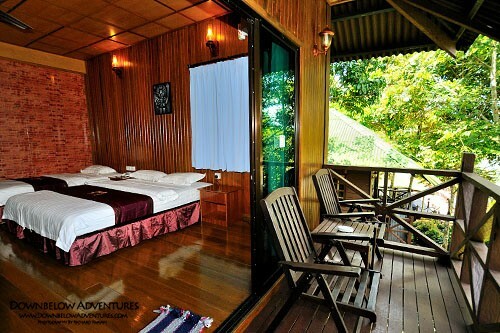 Hotel transfers (KK City), boat transfers, freshly cooked lunch and refreshments, park entry & jetty fees, guide/instruction, 3 dive sessions, learning materials, certification fees, equipment rental, plus water, tea & coffee.